According to a new study, thousands of U.S. troops are likely suffering from traumatic brain injuries due to training with their own weapons. Researchers from the Center for a New American Security just released a report indicating that all service members—even those who have not been in combat—could have lasting brain damage from the constant impact on their heads and necks while using high explosives or rocket launchers. Rocket-propelled grenades and shoulder-fired rockets reportedly go off with a “boom” that troops often liken to getting punched in the side of the head. In the report, researchers liken the impact to those involved in high-impact sports, such as football. According to the study, emerging evidence suggests that service members may be exposed to high levels of blast overpressure when firing heavy weapons, even in training. While the devices worn on troops’ helmets have always registering substantial blasts in combat, researchers have only now noticed that these impacts and injuries are also occurring in training as well. As a result, studies have shown that they can experience cognitive deficits in delayed verbal memory, executive function, and visual-spatial memory after firing these weapons; even if they stayed within allowable limits. While the Defense Department has long been aware of the issue—and taken steps to limit the number of rounds troops can fire as a result—the Pentagon has reportedly not taken a hard look until now. According to the Defense Department, some 380,000 personnel have been affected by traumatic brain injuries since just before wars in Afghanistan and Iraq began. While the report does not identify ways of avoiding the use of shoulder-fired rockets in combat and training altogether, it does recommend that the military better track troops firing the weapons in training specifically so that they can be better treated for injuries and ultimately compensated for any resulting disabilities. This kind of tracking would include, for example, the amount of ammunition shot, how frequently, over what time period, and the overall times of exposure. The report also suggests that the military could do more to develop helmets that protect troops from the blasts; helmets that would ideally include jaw protection and visors. 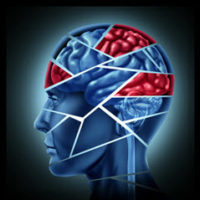 Traumatic brain injuries can not only impact the rest of your life, but they can eventually lead to such issues as Alzheimer’s and/or dementia. If you live in Florida and have suffered from a traumatic brain injury that is the result of negligence or a lack of proper protection, contact one of our Fort Lauderdale traumatic brain injury attorneys at Friedland & Associates today to find out how we can help.